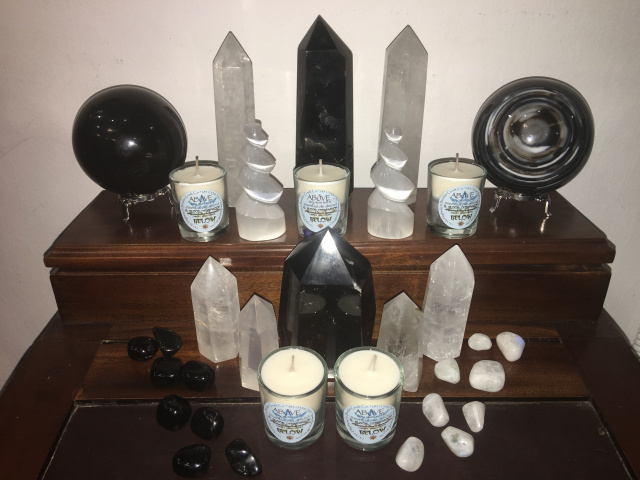 Earth, Air, Fire, Water, Above, Below & Spirit, these are made when the moon is in an astrological sign of the element, with natural soy wax and pure essential oils to empower them even more... Each one is a unique piece of art, but you must burn it to release the magick. 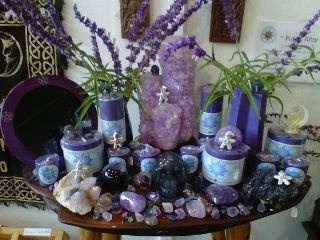 The powers of the elements are ancient and can be a great focal point and highly effective boost to any spellwork. 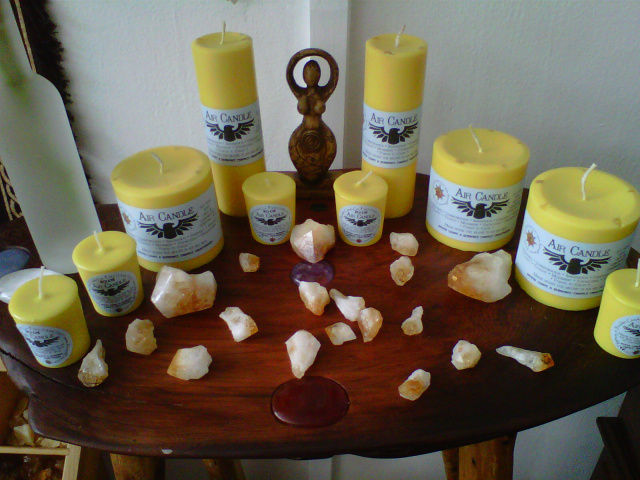 Each candle comes infused with the energy of its element, ready for you to light and enjoy or direct to a specific purpose. Each can be used for many different purposes, from simply attuning with the energies of an element, emphasizing an attribute you feel you lack, to removing blockages, and customizing very specific spellwork.15 - 20 hour burn time on votives pictured above. There are many attributes and associations for each element. You decide what you need and then focus your intent clearly. In some cases it is very obvious what element you need to work with, but sometimes it can be a bit tricky. I recommend spending some time to think it out. Example: Let's say you want to do a love spell. Don't go right for Fire because it's red, warm, juicy and has Love written on it. First give some attention to the nature of the energies associated with the type of love that you need. This will help you focus and you are more likely to end up with the type of results you expected. 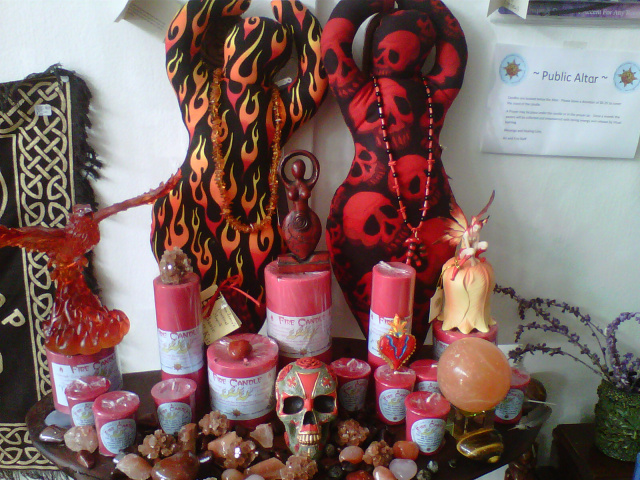 For a passionate and hot love you would probably choose a Fire Candle, but if you happen to be quarreling with your partner, you might not want to add Fire and passion to the situation, instead you might try a different Element for love. Water Candle. 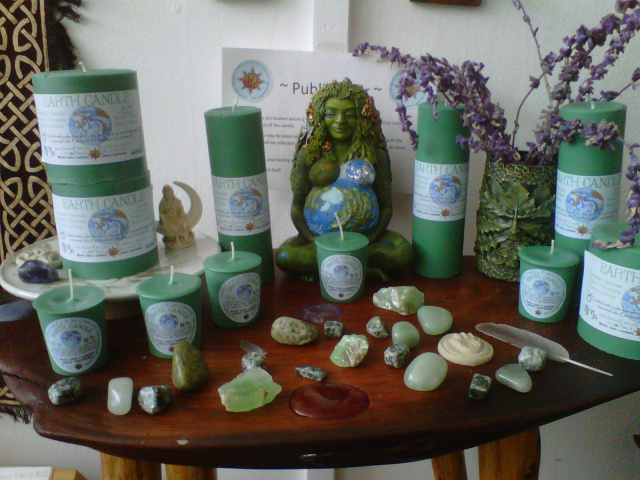 Earth Candle.Air Candle.Spirit Candle. 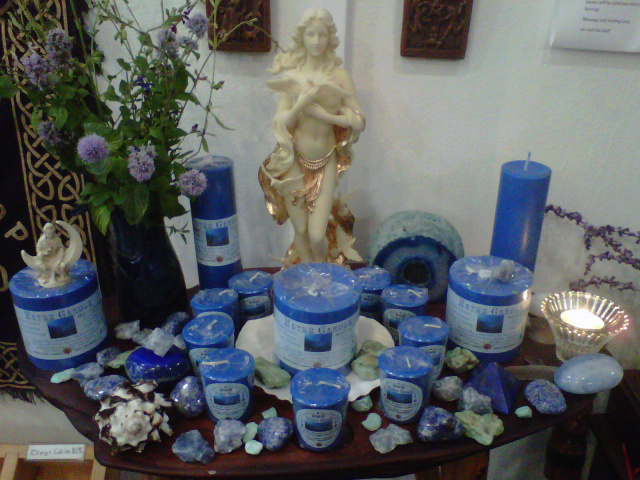 For peaceful, family, or self-love, you may want to choose a water candle. 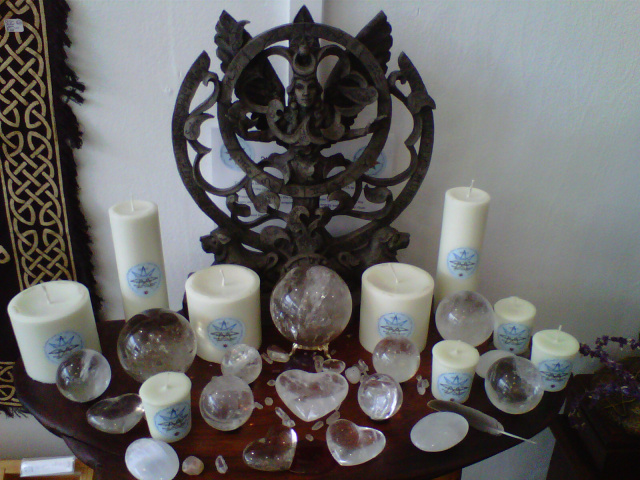 For a stable love you may choose an earth candle. For an understanding love you may want an Air candle. 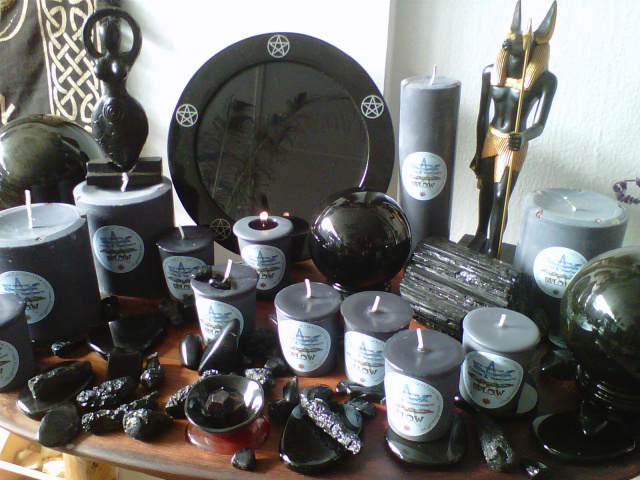 For a spiritual love you'll probably want the Spirit candle. By taking the time to look deep at what it is that you really need, it provides more clarity, which strengthens your spellwork.